Our F18 sails have been developed based on our success in the Tornado class. Knowledge gained from flow membrane projects has resulted in the computer-molded designs available today. Careful attention has been paid to mast bend and finishing, which gives sails specifically tailored to your class of F18. 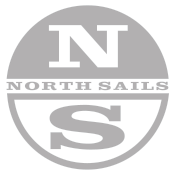 Mast Information: The North F18 sails fit the AHCP C2, Nacra Infusion MKII, Falcon F18, Cirrus R and Hobie Wildcat. Sails are available for other models not listed. Please contact your nearest F18 class expert.